There are times when you need a Justice League, and times when you need a Suicide Squad. August 5th, 2016 will be the second kind. DC Comics' black ops team of notorious villains, brought together under the watchful eye of Amanda Waller (Viola Davis) and supervised by Rick Flag (Joel Kinnaman), is arriving on the big screen this summer in what looks like a grimy and mature take on the comic book source material by writer and director David Ayer (End of Watch, Fury). 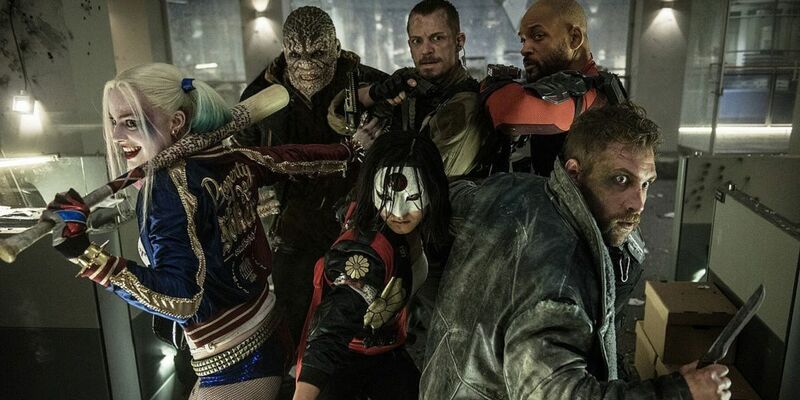 Suicide Squad stars Jared Leto as the newest incarnation of the Joker, Margot Robbie as the first live-action Harley Quinn, Jai Courtney as Captain Boomerang, Karen Fukuhara as Katana, Will Smith as Deadshot, Adam Beach as Slipknot, Jay Hernandez as Diablo, Adewale Akinnuoye-Agbaje as Killer Croc and Cara Delevingne as Enchantress. The DC Extended Universe and The CW's growing collection of superhero shows may not exist in the same universe, but Warner Bros. knows where to find its audience. The second trailer for Suicide Squad was unveiled tonight following the return of The Flash, during a special preview titled 'Dawn of the Justice League'. Check out fresh footage of Task Force X in action above. Suicide Squad doesn't just promise a fun, action-filled standalone adventure featuring a group of wacky villains. It will also provide further insight into the first of this year's DC movie entries - Batman v Superman: Dawn of Justice. Ben Affleck is set to make what looks like a brief appearance that will tie in with the Joker and Harley Quinn's origins as a supervillain power couple in Suicide Squad, and the Joker himself has been referenced in the trailers for Batman v Superman. The new Suicide Squad trailer has also confirmed that a previously-released breakdown of the trailer was, in fact, accurate - right down to Queen's "Bohemian Rhapsody" being used to frame the footage on display. That choice of music here also helps to better distinguish the world of DC's super-villains, by painting Suicide Squad as being more of a darkly quirky and off-beat take on the superhero genre - something Ayer has expressed a desire to do, partly based on his belief that superheroes are admirable yet can be "kinda boring" and lacking when it comes to unpredictability. Suicide Squad has already been compared to Marvel Studios' Guardians of the Galaxy, and with fair reason too. Both are film adaptations of relatively less mainstream comic book properties, where the inherent weirdness of the original property is being used as one of the movie's biggest selling points - not to mention, both movies are being marketed via creative retro pop music accompaniment. The question is, can Suicide Squad match (or exceed) the critical/commercial success of Guardians, when all is said and done?